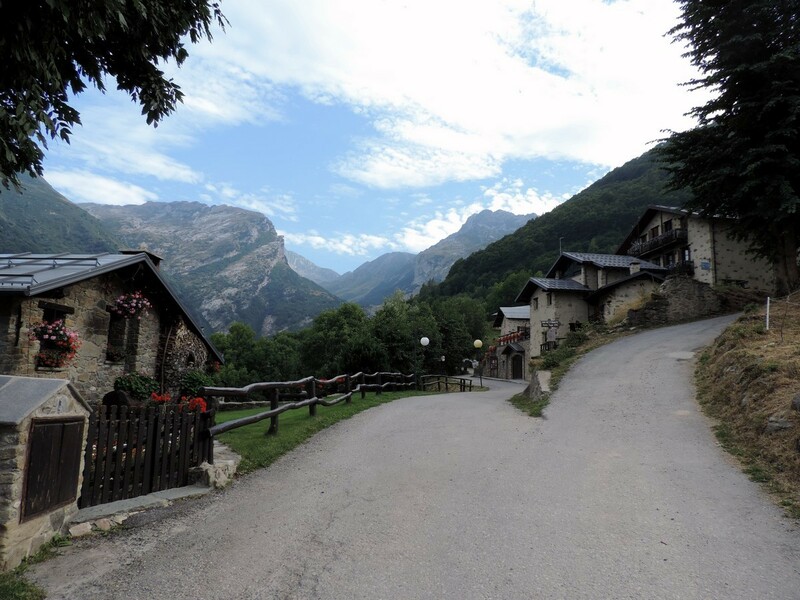 Italy’s Maritime Alps have lots of big mountain hikes and small charming towns. This combo keeps the crowds down and the food fresh, local, and delicious. 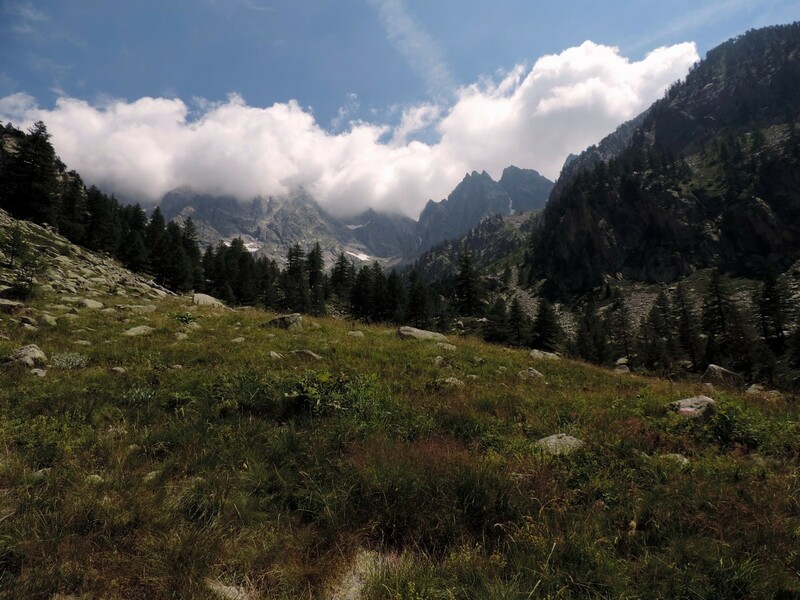 A trip to the Alpi Marittime National Park is one you won’t soon forget. 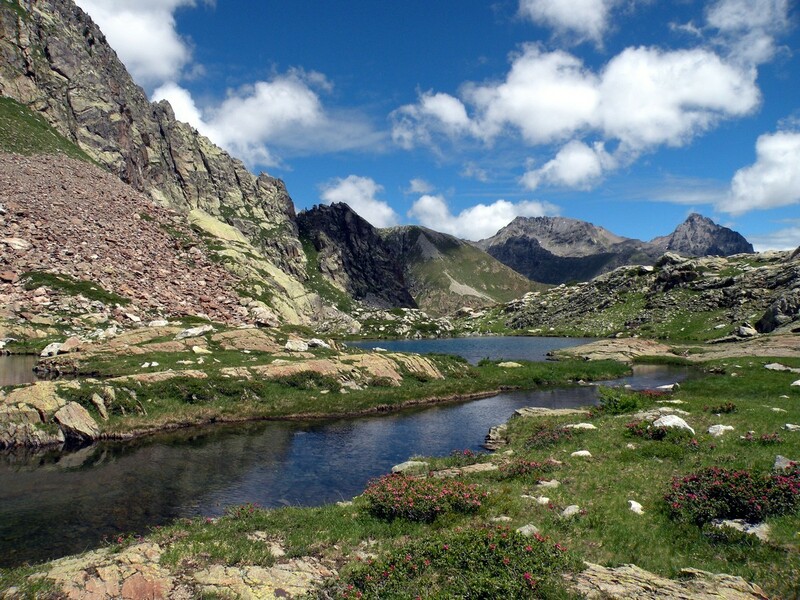 The Alpi Marittime National Park has lots to offer, still being relatively undiscovered compared to other parts of the Alps. 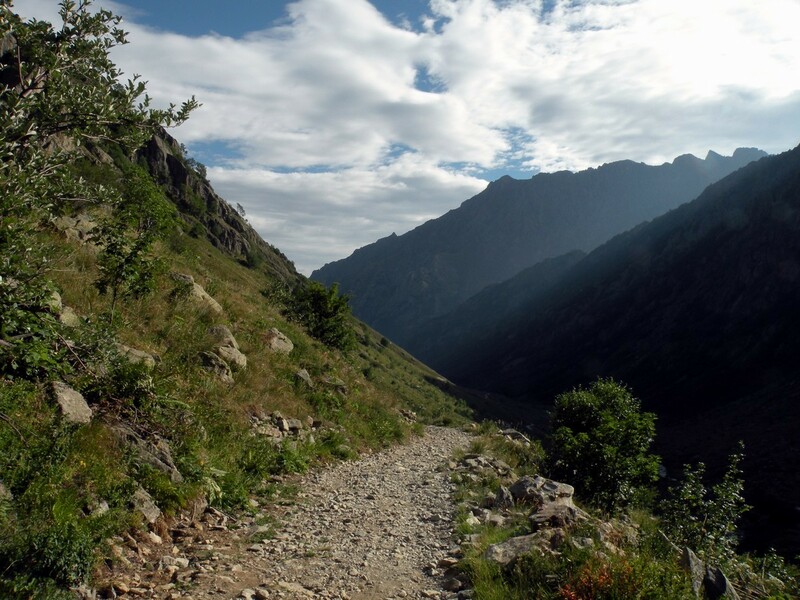 Their French neighbour – Mercantour National Parks Valley of Wonders – can sometimes overshadow this park. However, this Italian hiking destination has more than enough to keep you occupied. We like to stay in the town of Vernante or in the town of Entracque. If you’re planning on being in a larger town with more transit options then you’ll have to stay in Cuneo. The only downside to Cuneo is that it adds on some time getting to the trailheads each morning. That being said it makes it easier to go to a new location once your trip is done because Cuneo does have a good train station with service to a variety of places. The closest airport is in fact the Cuneo Airport; however, unless you are flying from Tirana, Albania; Cagliari, Italy; or Casablanca you’ll be hard pressed to get there. We often fly into Turin, which is a 75-120 minute drive to Cuneo. There are also good transit options, with a direct train from the center of Turin. You can also fly into Nice, with the drive been 2-3 hours and public transportation being a painful 5h trip on buses and trains with plenty of stops. 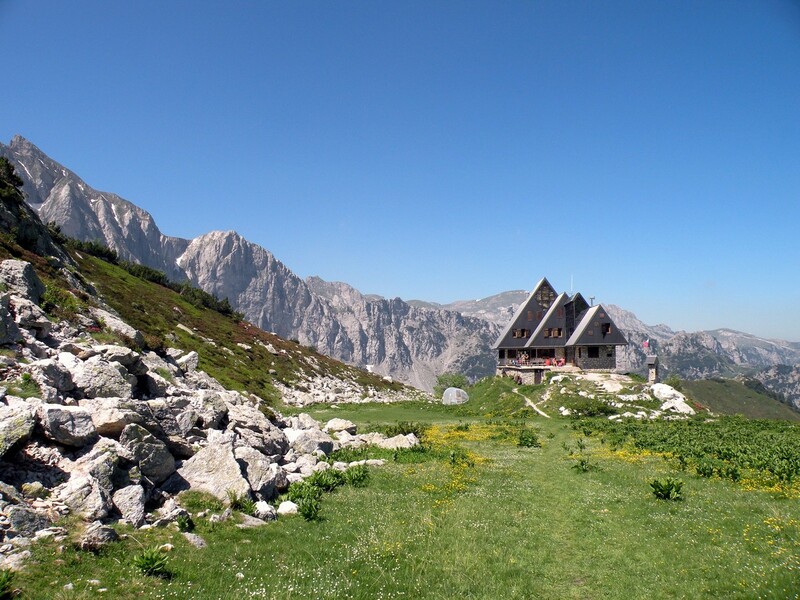 You’ll want to go to the Alpi Marittime between the months of May and October. By the time October gets into full swing the rainy season really kicks in. 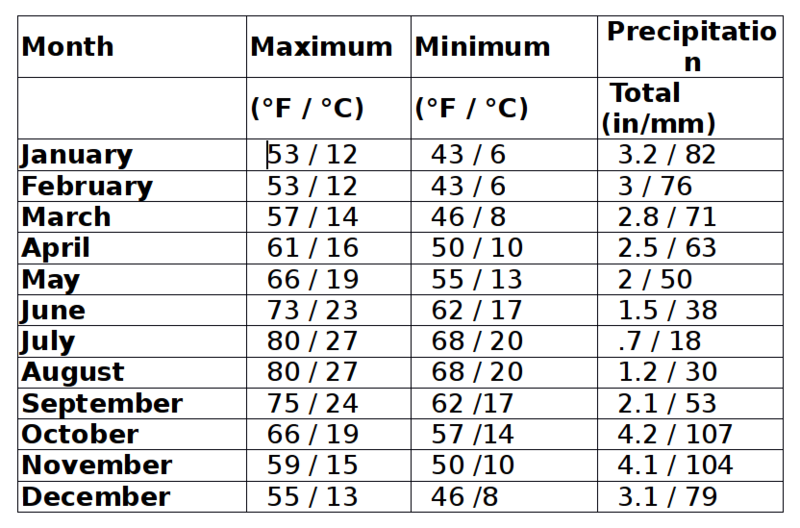 The temperatures below also don’t account for the higher alpine situations, so if you’re wondering about taking a few specific alpine hikes you can always find more pinpoint weather information on each hike’s route description page. In the height of summer the crowds will obviously increase, but you can easily go for a trip in May or June and still get some excellent weather. In fact, considering that this is a mountain location, the weather bouncing around 68-80F (20-27C) is pretty hot hiking weather, considering the ocean isn’t close by to cool off in. Technically you could jump into some of the glacier-fed lakes (brr! ), but there aren’t any beaches to sun yourself on afterwards. The bus system is pretty good in the area if you’re using Cuneo as your home base. From Cuneo you can get to Valdieri, Entracque, Terme di Valdieri, and more. That covers a good amount of our hikes. As the hikes we list are fairly spread out, it does really help to have a car. This gives you more options on where you stay and where you go, and sometimes the cost of the car is offset by the ability to stay in cheaper accommodations. If you’re looking for luxury, head to Vernante and Il Nazionale Hotel. This hotel has a brick, stone, and wood chalet look to it, which we love. The spa has many different baths and saunas and pools. The breakfast bar is an excellent way to start the day. This hotel has been around in some form in this area since the end of the 19th century. So, clearly they location is perfect! For a little bit less luxury at a better price try the Palazzo Lovera Hotel in Cuneo. It’s a beautiful hotel that welcomes you in with a great lobby. The rooms are all spacious, clean and updated. For a more budget-friendly family option, try B&B Il Rosso e Il Blu in Cuneo. They have two rooms, one red and one blue, that have a queen sized mattress as well as a bunk bed. It’s perfect for a family of four. I wouldn’t hold super-high hopes for the breakfast, but it is at least included in the very fair price. We love staying in the charming town of Entracque. The best value hotel in Entracque is the Hotel Trois Etoiles. The price is fair, the rooms feel very Italian (despite the French name) and, the bathrooms are nicely updated. We always recommend this place when we hear someone is planning on going to the Marittime Alps. We also really enjoy their restaurant. If the Hotel Trois Etoiles is booked up, why not try the Locanda del Sorriso. They have six rooms with en suites and the remaining five are more in a Rifugio style (shared bathroom and bunk beds). They too have a great restaurant. Local produce, seasonal menu, and everything they make is very traditional to the region. The Sotto il Faggio campground is our #1 camping recommendation. 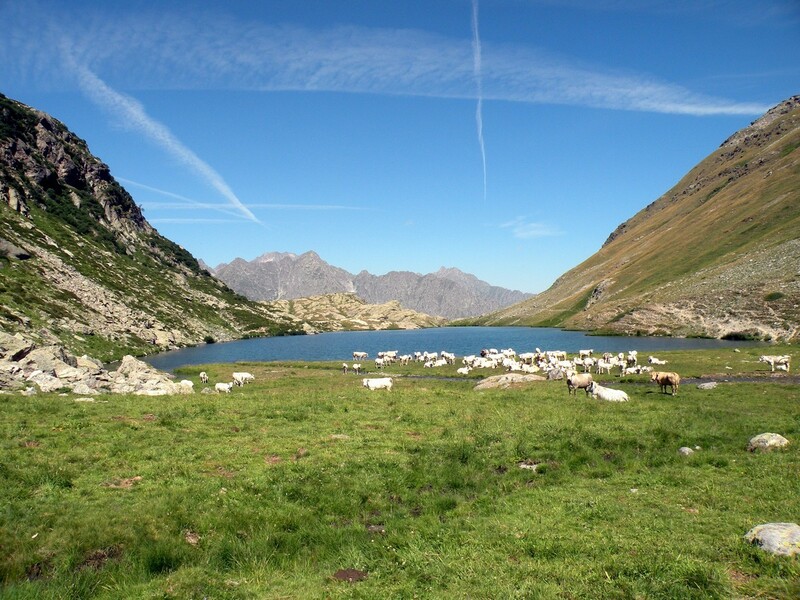 The location is perfect because it is the starting point for three of our hikes: Rifugio Pagari, Il Piano Del Praiet, and Lago Del Vei Del Bouc. The amenities allow you to be very comfortable while the area makes you feel very wild! Enjoy their hot showers, washing machines, dishwashing area, restaurant, market, washroom, fridge, and freezer. 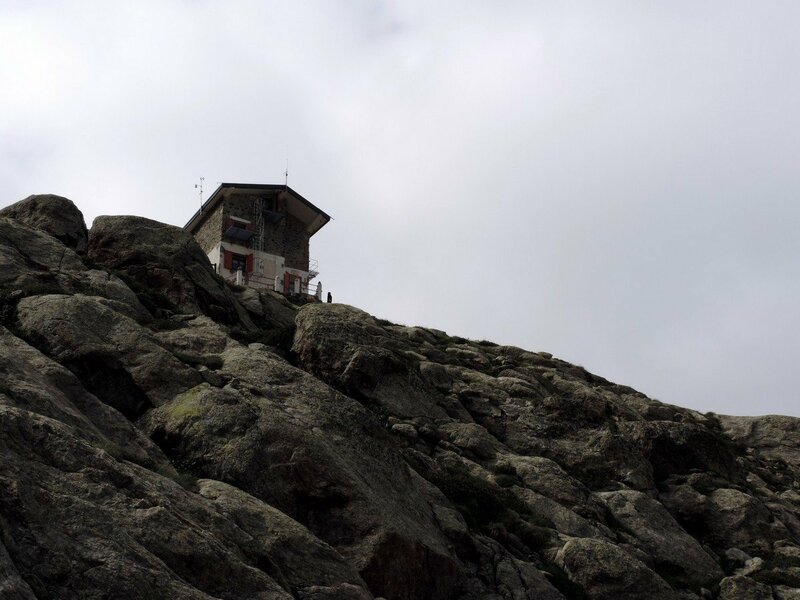 If you agree that the location for the Camping at Sotto il Faggio is great, but you would rather have a proper roof above your head, try staying at the Rifugio San Giacomo. They have various sizes of rooms depending on the size of your party and a great traditional restaurant that is famous for its polenta. We recommend you book well ahead because it can fill up fast during the peak season. 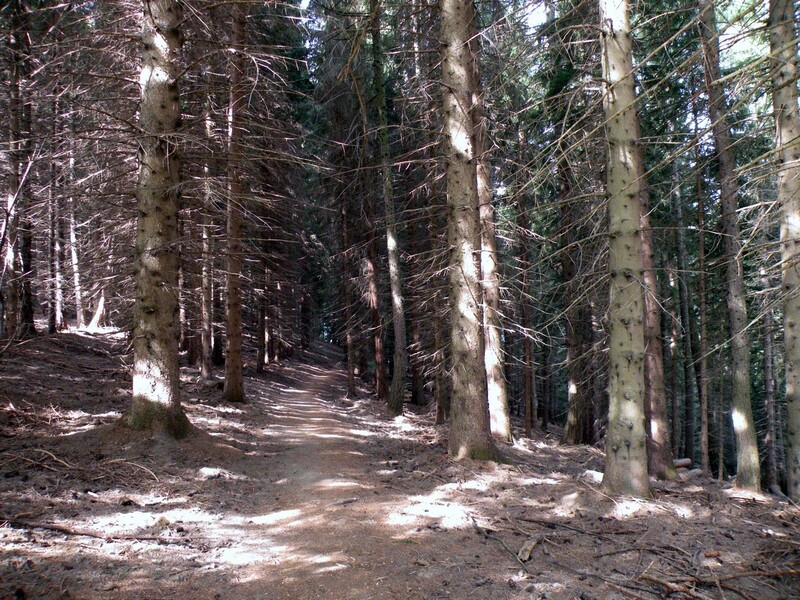 We love hiking in Europe, as we can eat all day and night and burn it off the next day. The fresh, delicious food of the Maritime Alps is no exception, and is a true highlight of a holiday in this region. Our luxury pick for restaurants is a familiar name: il Nazionale. The same place we recommended in out “where to stay” section also happens to have an amazing restaurant that does local at an elite level. The décor, much like the hotel, is historic and hip at the same time. If you’re staying in Cuneo and want a good place for an upper-mid-scale meal, try Osteria Vecchio Borgo. They have a diverse menu and a spacious enough interior. Most places like this always seem to stuff people in like sardines, but the Vecchio Borgo gave us a little breathing room. We loved their little Soufflés. If you’re looking for a specialty coffee, breakfast spot, late night snack, or maybe just the best gelato in the world (!!!) try Bar Gelateria Corso in Cuneo. Everything we tried there was delicious, and they’re practically open all the time. For an upper-mid-scale meal that feels very traditional try the Vecchio Mulino in Entracque. We love their polenta. The atmosphere is a little old-fashioned but it doesn’t take away from the meal. The view is one of the best things about this place. If you remember, we talked highly of Locanda del Sorriso’s restaurant before.  The price is very reasonable and the food, while a little heavy, is fantastic. Plus, if you ask us, a heavier meal is not bad thing, especially after a long hike. La Magia Della Fate is where you want to go for cheap, delicious pizza. It’s always full with locals so you know it’s good. It’s small and a little loud, but it just adds to the authentic nature of the place. The have a pretty diverse menu that changes with the seasons, but we always just end up getting the pizzas! You can find it in Robilante, which is just north of Vernante. For any vegetarians, we know finding meatless entrees can be hard, so we recommend everyone (especially vegetarians) to go to Locanda Fungo Reale. They specialize in the mushroom. We love their fried porcini mushroom, but their menu does change a lot depending on what funguses they can track down. 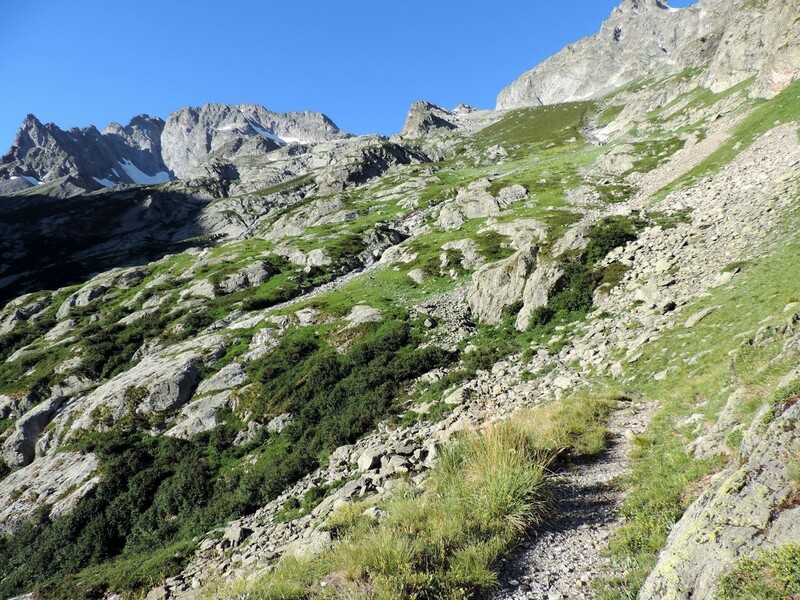 WHAT ELSE CAN YOU DO BESIDES HIKING IN Alpi Marittime? The Centro Uomini e Lupi is a must visit for any animal lovers visiting Entracque. They have a few rooms filled with interesting stories and history, and at the end of the tour you walk up into a tower where you can watch the wolves run around and chase each other (although they might also be sleeping). The Sanctuary of St. Mango is a beautiful place to visit. The building has many ancient frescos and excellent architecture. The best part might just be the location. The views from this Sanctuary into the green valley below are stunning. If you’re looking for a change in scenery after spending all your time in the mountains, head to the city of Cuneo and check out its Old Town. After many years of discussion they finally made this section of this city accessible only to pedestrians. There are lots of beautiful churches, cute shops, and boutique restaurants in Cuneo. You can easily enjoy a whole day here. For the cheese lovers head to Castlemango and visit the Cooperative La Poiana. They make lots of great cheese that is hard or impossible to find back home. Head to the store in Castlemango to sample all their cheese and learn how it’s made. Yum! Also, being so close to the Mediteranean makes for a great rain-day or day off. We love heading to anywhere along the coast, and for some reason have had great days in San Remo. Visiting Monaco is also a nice day out, though there doesn’t seem to be enough to keep us there more than a few hours. 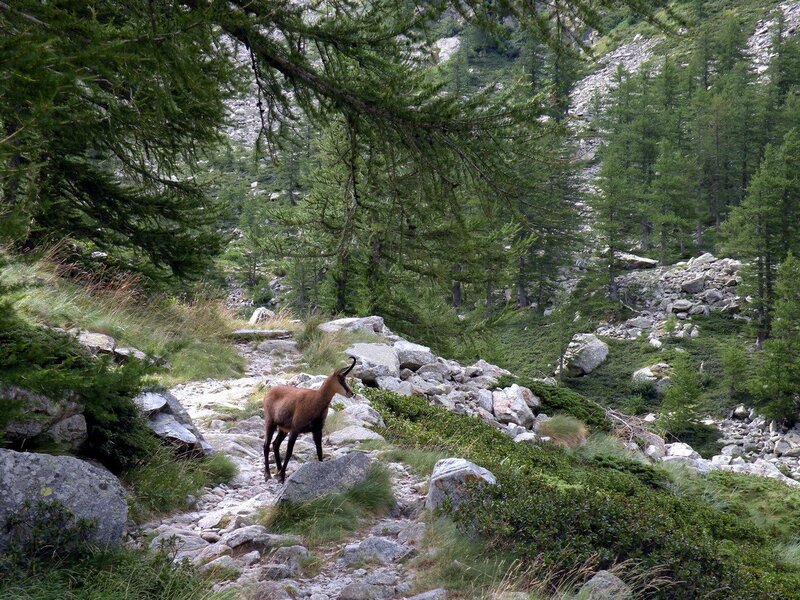 The park has been known to hold populations of wolves as well as a number of smaller herbivores, like the Chamois. As with all wildlife, respect them from a distance and travel in groups if you can. The most dangerous animals in the area tend to be cows believe it or not. Apparently, the cows can charge when protecting their young. In the more northern Italian Alps there was a reported bear attack in July 2017. This kind of thing is very rare and can be avoided by always having at least one hiking buddy. When asked how one should behave in the park, the officials had this to say “We do not take anything but the photographs. We do not throw anything except long glances around us. Let’s not leave behind anything except our footprints. We do not kill anything except the time, pleasantly. We do not take anything away, [except] memories”. There are no campfires or any fire for that matter throughout the park. When camping there are specials locations for a camp stove and that’s the only exception. It is not expected to tip in restaurants in Italy and if you do don’t tip any more than 5-10%. Driving can be a challenge for some. Consider this when thinking about renting a car. Go with the flow at restaurants and try the house speciality. You’re likely to find delicious new flavours and hopefully have a memorable meal.